When we last spoke about ‘The Power of Fabric’, I shared that I often select my paint colors based upon the important textiles in the room. There are many possible sources of fabric inspiration: Window Treatments, Upholstered Furniture, and Rugs all come to mind. I’ve done rooms where the entire room is based upon just one of these items. The embroidered fabric in this custom bed-hanging was the color inspiration for this Master Suite. Supporting fabrics and even the wall color were selected from its palette. 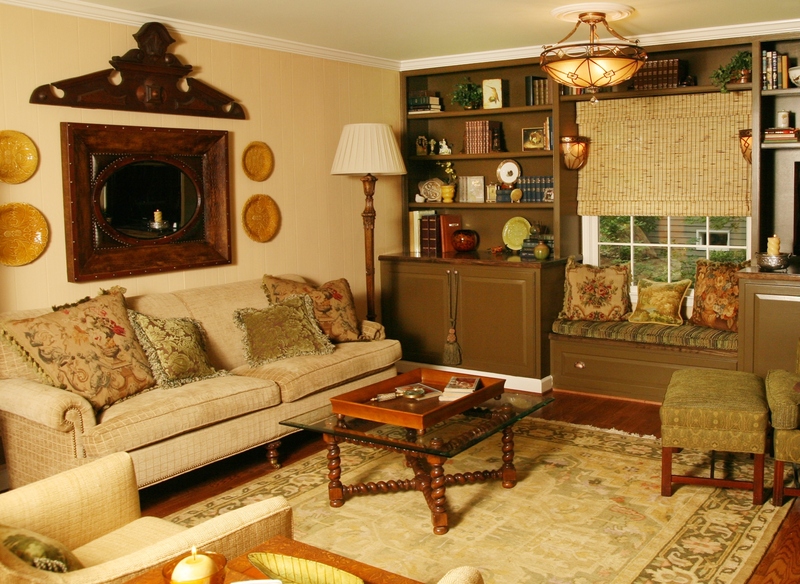 This rich library with a mountain-house theme, drew its color scheme from the homeowner’s area rug. The dining chair fabric drove our color selections in this dining room. The wall color, table square, and drapery fabrics were all selected from colors in the chairs. The area rug was our color inspiration in this room. The ottoman fabric, pillows, seat cushion and even the painted furniture all were selected from colors in the rug. 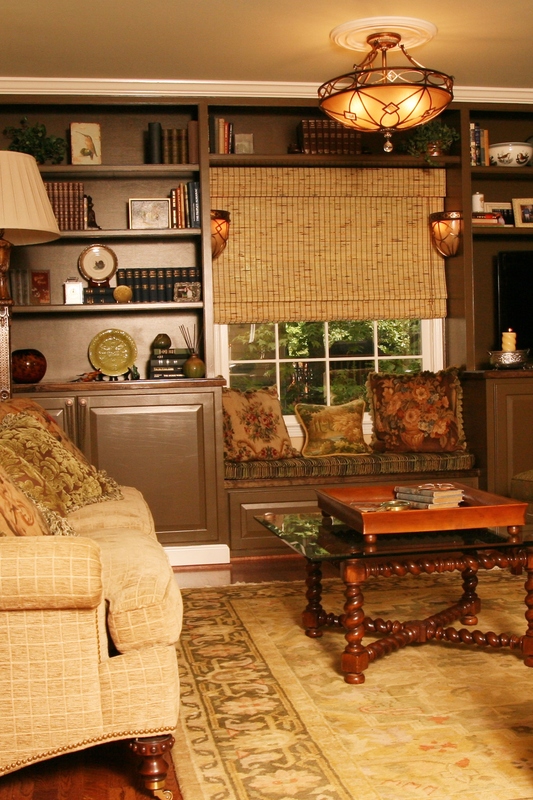 We’ll talk more about the impact of textiles and window treatments in a future post. Until then, please tell everyone about Kristine Robinson’s Blog. I need all the friends I can get! This entry was posted in Area Rugs, Blinds, Carpet, Color, Curtains, Decor, Decorating, Draperies, Fabrics, Furniture, Home, Home Decor, Interior Design, Rug, Shades, Textiles, Window Treatments and tagged Area Rugs, Beach, Blue, Brown, Color, Decor, Decorating, Design, Dining Room, Draperies, Fabrics, Green, Home, Interior Design, Interiors, Library, Living Room, Masculine, Mountain House, rugs, Textiles, Turquoise. Bookmark the permalink.